While most of our interviews are about game design, XMashed Games now focuses on our very talented artists. Here’s an interview with the Legends of Callasia art team. Greetings Xmashers, we’re starting a new segment where we take a look at the process of making art for video games and the people behind these awesome interactive masterpieces. In this series we will talk to artists working in game studios and ask them questions regarding their work. 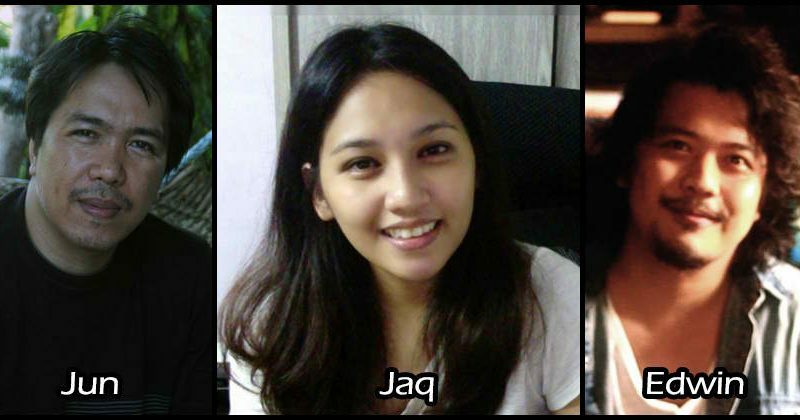 This week we take a look at 3 incredibly talented individuals from Boomzap Entertainment, an independent studio based in Singapore, let’s welcome Jun, Jaq and Edwin! Edwin: Hello! My name is Edwin Sablaya. I’m an artist here in Boomzap. Currently, I’m working on a project called Legends of Callasia as the lead artist. During early development, my task was to overhaul the overall look of the UI, then start doing concepts for the bonus cards in the game. Later, I worked on the concepts for troops and some of the heroes, mostly the Revenants, the undead faction in LoC. I also handle our marketing materials. I also help test the game and share my notes to the team. Edwin: I only use Photoshop. That’s my playground since college days. Edwin: Yes, so far it’s my best project. Imagine being paid painting monsters – monsters that I would also paint in my free time. Add to that being paid playing a game I love playing. I mean, it’s hard to find a project that you love both the art style and the gameplay. Luckily I find it in Legends of Callasia. Jaq: It’s more of adding art little by little – a piece of map, a character, some buttons – and only when they come together in the game do they make sense, unlike during my old projects. I had worked mostly on hidden object games where you make one big polished scene, like a room or a garden. This one scene may already tell you a story – that’s straightforward. Edwin: It’s different because I really love the gameplay this time. I mean, I also like the gameplay of my old projects, the Awakening series, but it’s not the kind of game I can keep on playing the whole day. Here in Legends, I can even play the game the whole week while taking notes and having fun at the same time. I think that’s the big difference. You can give much more helpful notes when you are playing a game you really love playing. That’s the end of our interview, do you have any particular shoutouts to our readers? Jaq: I hope you’ll enjoy playing Legends of Callasia. I was surprised when I first tested the game, I can barely move in my spot. I was so scared to hit “End Turn” I thought it will cancel every action I made. If you have a hard time learning the game, you are not alone. But when you learn how it is played, it’s really fun! I’m a fan of Command and Conquer: Generals, Red Alert, Rise of Nations, World Wars, Starcraft, DOTA – basically every game that involves conquering – so it’s also a dream come true to work on a game like it. It’s really a pleasure! ← Legends of Callasia now on Steam Concepts!